Summary: Thanks to advances in machine learning AdWords can determine not only search intent, but the preferences of individual searchers. This explains why three people who enter the same query on google.com can be served three completely different ads. The example given was, “cheap flights to X”. Google can determine that Person A has an affinity for Priceline, while Person B is interested in comparison shopping, and Person C wants to book immediately. Why this matters: Machine learning is opening the doors to more advanced targeting capabilities. Thus, “In-Market Audiences” are coming to search ads and life events, for example, graduating from college, moving, and getting married can be targeted through YouTube and Gmail ads. Summary: First, let’s define what Google means by “non-line”. This is a term Google coined after research discovered that today’s consumers blur the line between online and offline. To the average customer, the experiences are one and the same. This can make understanding the full value of digital marketing efforts difficult to ascertain for retail advertisers. A few years ago, Google started solving this problem with “Store Visit Measurement” which uses advanced machine learning to determine the number of store visits that resulted from search or shopping ads. Since its inception, this tracking has measured over 5 billion visits. Google is now expanding the capability to include TrueView ads. Additionally, a new tool is rolling out later this year that will allow you to import offline sales data into AdWords and collate it to campaigns. Through third party partners, this feature can be activated securely and with no implementation required. Why this matters: Although store visits have been trackable for three years with certain ad types, Google is expanding it to include the second largest search engine in the world (YouTube). This will enable the full value of video ads to be better understood. The second part of this announcement helps to close the circle. Now we’ll not only know how many store visits Google ads lead to, we’ll be able to determine the amount of revenue those visits are responsible for. Summary: Cross-channel and cross-device attribution has plagued marketers since the beginning of the internet. This year, Google is releasing a new tool that promises to solve the problem. Currently in Beta, this free tool will analyze data from Google Analytics, AdWords, and DoubleClick to give credit where credit is due—effectively killing the “last click” model. Why this matters: By understanding the exact path a customer took to conversion, advertisers can better understand what’s working and what’s not. Through the “last click” attribution model, only the final step is given credit for a conversion. This means that unbranded search, mobile display, video, and social media campaigns can appear unprofitable when in fact, they helped lead to the final conversion. Google Attribution will allow for data-driven attribution, a model that in Beta has led to increased conversions without increased CPA. A smaller benefit of this model is the ability to determine Unique Reach, a metric that has been available on social platforms for years. Google has promised that this metric will consider multiple devices and ad formats. Status: The full Attribution tool is currently in Beta and will be rolling out across accounts in the coming months. Unique Reach is available in AdWords as of May 23, 2017. Summary: Conversions can decrease by up to 20% for every one-second delay in load time on mobile. This is why Google launched the AMP initiative last year. Since its inception, over 2 billion AMPs have been published—these pages have an average load time of one second. This year Google has gone a step further and launched a new beta program for AMP search and display ads. Why this matters: One of the downfalls of display ads are they can slow down a site and fail to fully load before the visitor navigates away. 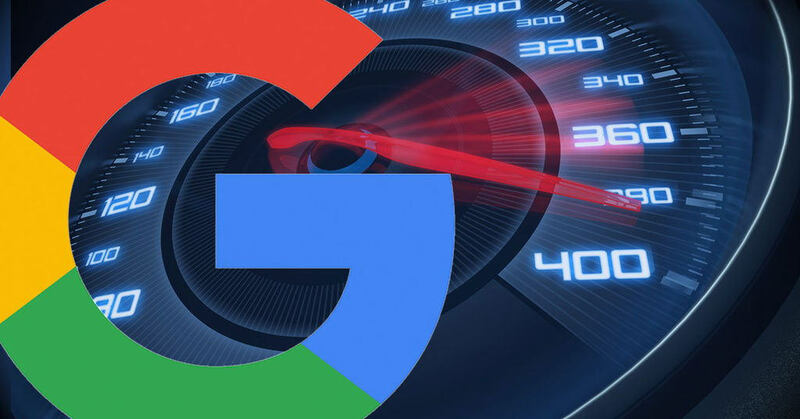 AMP display ads will load five seconds faster than standard ads and AMP search ads will cut down the time it takes from an ad click to a loaded landing page, thus cutting down the bounce rate. Summary: Google recognizes that getting qualified traffic to click on an ad is only half the battle. The landing page is the key to conversions. To test landing page effectiveness Google is releasing new landing page metrics in the new AdWords interface. Additionally, they are pushing their Optimize product to perform A/B testing without the need to work with developers to create new landing pages. Why this matters: By installing a simple snippet of code to your site, you can utilize Google Optimize to create different versions of the landing page. This allows A/B testing to be performed quickly. Starting this year, Optimize experiments can be used at the keyword level in AdWords. For example, a hotel can have a standard photo on their landing page. When the term “family vacation hotels” triggers their ad, the photo on the landing page can be replaced with a photo of a family at the pool. Status: Optimize is available for landing page experiments. Keyword targeting will be available later this year. Google is committed to taking marketing to the next level by advancing targeting capabilities, developing comprehensive attribution modeling, and improving UX. If all of the new tools and features rolling out this year live up to their hype, marketers will no longer need to use numerous software programs to optimize their campaigns, analyze data, or perform experiments. If you need help setting up your Paid campaigns or have any other digital marketing needs, please contact us and we will get back to you as soon as possible!